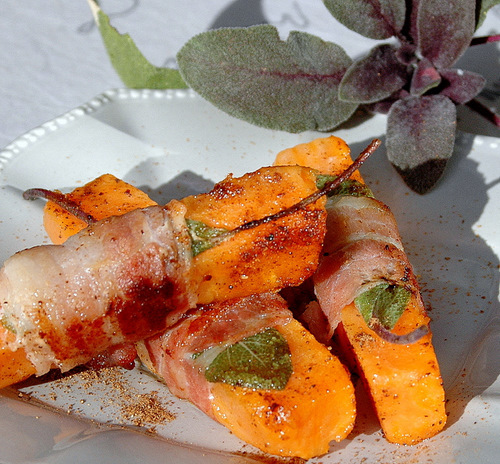 Sweet potato wrapped in bacon and sage. Now is the time to enjoy sweet potatoes…soups, purees, oven roasted, boiled in the skin and served with honey or as part of a salad or appetizer as shown here. It can also be served on the side. 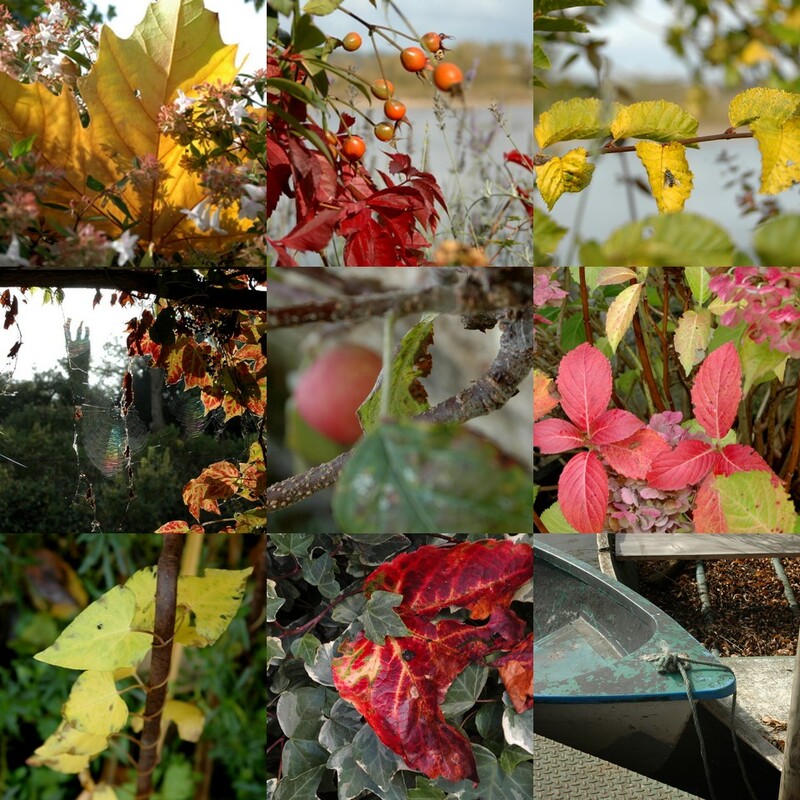 It is quick and easy, with no fuss and it looks colourful and inviting. Previous Article Pineapple carpaccio with saffron syrup and pine nuts. Sweet potatoes are my favorite, and these appear to be just the ticket for something new on the American Thanksgiving table. One thing for which I am thankful? Health and family and, yes really, your wonderful photographs. 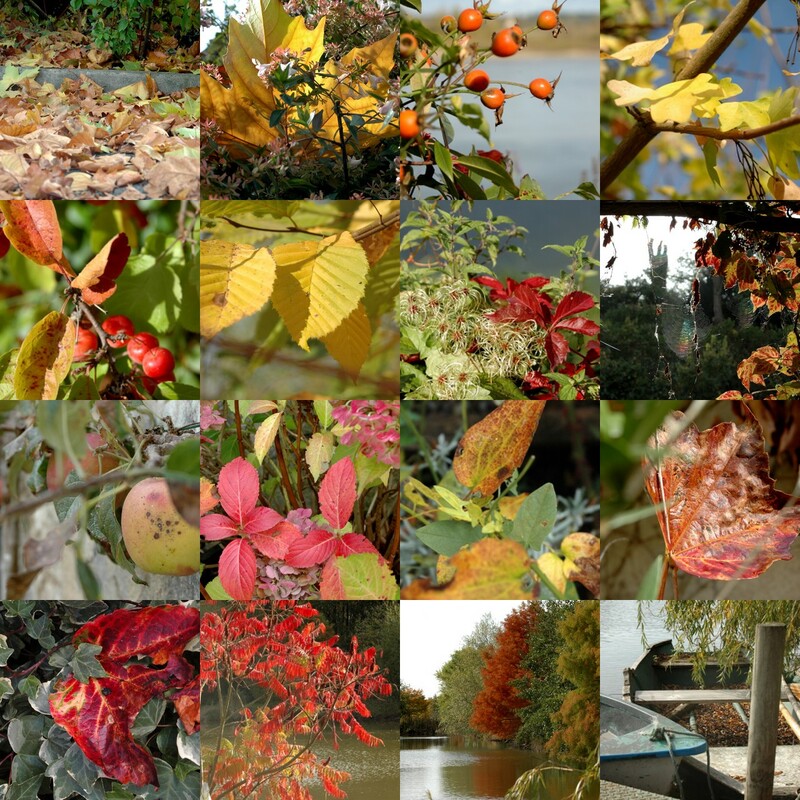 Autumn in France is fabulous, too. Thank you for you lovely blog. Sold! I sometimes do sweet potato in orange juice with yoghurt, as a salad dish, but this will do nicely for Saturday lunch! Thankyou. Oh my gosh! 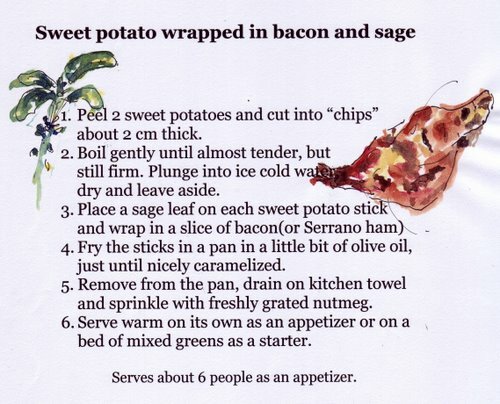 I wouldn’t be able to get my husband to stop eating sweet potatoes if I wrapped them in bacon. Those looks sooo good. This is such a clever way to get people or full-of-nonsense-kids to eat their veggies. It looks so scrumptious! What a neat presentation! You have such good ideas. OK, wrap bacon around a sweet potato stick? I’m shaking my head at the simplicity yet I know this would be a real winner around here. Nice touch with nutmeg too. Gosh what a fantastic idea – actually salivating! Oh Ronell, I think i’m in love with those! Am definitely buying the wherewithal to make them next time I go shopping!